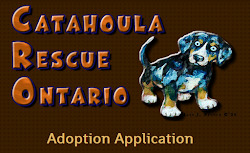 Catahoula Rescue-Ontario: Meet Rosaleen ADOPTED! It has been quite a journey, and I am so glad to be here! To be honest, because I am not used to them, I can be leery in new situations. You see, I had been alone for so long with no one to spend time with, so new people and city sounds scare me! My foster mom says I have come a long way though! I enjoy walks a LOT, but need time to acclimate to new surroundings. I need you to be patient with me and just give me time. Foster Mom says I can be such a contradiction, whatever that is BOL! I need slow introductions to people and dogs because I don't know them. Mom says I do well with my foster brothers and two of my foster sisters because they don't push me. I get scared when I don't know how to respond because it's all so new to me, but I am eager to learn! Foster Mom says I am so beautiful with my new coat, but says that my spirit is the prettiest. I love to cuddle, play with toys, EAT, and take nice naps on soft beds and couches! I like my den – my mom calls it a crate, but to me it is my safe space that is clean and all my own. I do not like to share because I never learned how to. I’m working on it, but it's really hard because I never ever had these things and I don't want to lose them. I love to give my paw for attention. When I have to go pottie or just need some attention, I will sit as close to your face as I can! I want to make sure you see me because I felt so invisible for so long, but NOT ANYMORE! I know how to sit, lay down, give paw, and come whenever I am called! 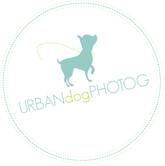 I look forward to growing as a doggie should, and making new friends with people who have the patience to help me! I sure would appreciate your prayers and patience! AKA RoseBud to my foster Mom! Rosaleen is spayed, up to date on vaccinations, heartworm tested (negative), and will be microchipped prior to adoption.